With mower-assisted drive blower, this bagging system makes easy work of managing heavy-duty clippings. Bags are easy to remove for quick disposal of clippings. 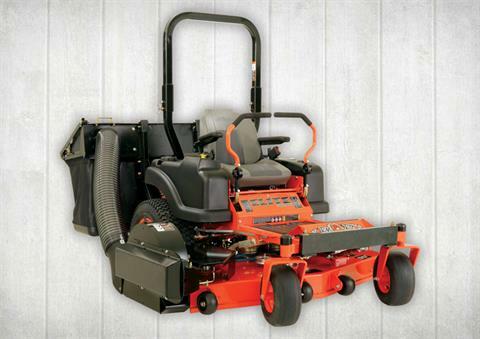 Fits Outlaw Class, Maverick, CZT and ZT Elite Series and both MZ Model Riding Zero-Turn Mowers.